He’s rubbed noses with Inuit, danced barefoot through fire in Papua New Guinea and paddled a kayak 4,500 kilometres up the Australian coast on a whim. Just don’t call kayaker and filmmaker Larry Gray the new Crocodile Dundee.As we drive to a café near his Sydney home, Larry Gray starts telling me a story which – like many Larry Gray stories – sounds at first like some shaggy-dog bush yarn concocted for the benefits of a credulous urban journo. 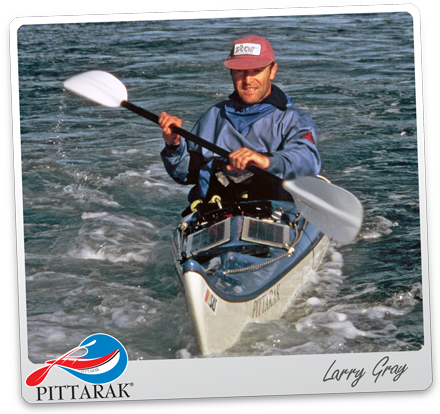 It’s not the story of how Gray first visited Sydney as a teenager in a kayak and tried to camp by the Opera House. It’ s not the one about how an iceberg fell on him in the Arctic and left him stranded for four days in perilous sub-zero temperatures with only a handful of lentils to eat. Nor is it the one about how he sailed a bamboo raft through shark and crocodile infested waters in the Northern Territory in order to show some Aboriginal elders in Arnhem Land the electronic didgeridoo he had invented. Nope, this is the story of how he and a friend paddled two fibreglass kayaks 4,500 kilometres from their home on the northern Victorian coast all the way up the eastern seaboard, past Brisbane, past Townsville and Cairns, making a left turn at the tip of Cape York into the Torres Strait, until they ended up on Thursday Island. During the epic six-month expedition they survived largely on the fruits of the sea and land and lived virtually without money.“We had this idea, which was, Let’s just keep going”, says Gray, eyes lighting up at the memory of the harebrained journey. “We looked at the map and it was just this wonderful, wonderful, wonderful water all the way up the coast. 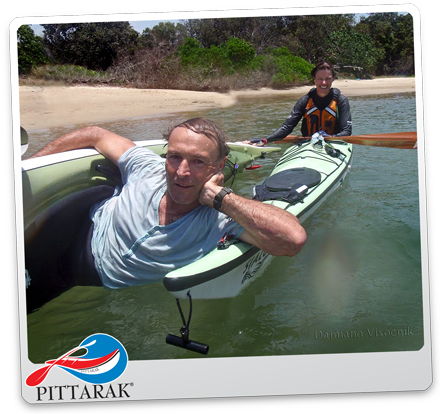 And there’s no way better to explore coastline than sea kayak, because you can take them anywhere.” It was so good, he tells me, that he seriously thought about that extra 150km kilometres to Papua New Guinea. But it turned out that PNG would come later – which is how he came to dance barefoot through fire with the Baining tribesman and paddle across a boiling volcanic lake. sorcerers, but when I asked him how old he is, he seemed genuinely flummoxed and spent a good 30 seconds doing the arithmetic. Later, he confessed it was only in the past few years that he has become used to having haircuts and “wearing shoes and all that stuff”.